You know, I've been so bad at blogging this year that I was embarrassed when a couple of friends pointed out that I never blogged about the new book. Yup, I wrote another book, this time about the quilting process. Most of you know I love that walking foot and so I set about putting it through its paces and trying to get the most out of it and the result was WALK: Master Machine Quitling With Your Walking Foot. The walking foot is awesome for straight lines as we know, and I'll never disparage simple linear quilting, but that's only the start of the creative quilting options that are possible with the walking foot. Just check out the back cover of the book to see what I mean. 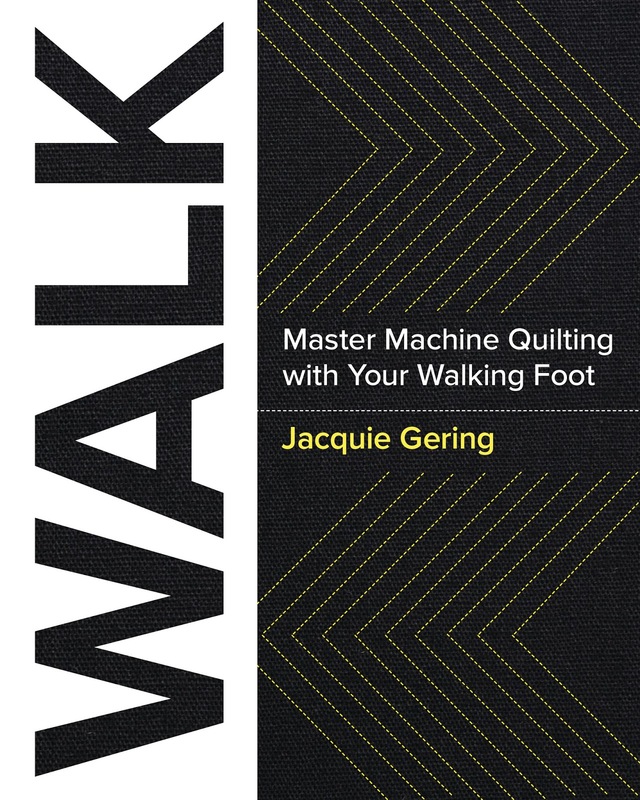 WALK has been selling like hotcakes since its publication in December and has been one of the top selling quilting books on Amazon. It popped back up to number one once it got back in stock and I thought we should celebrate with a giveaway. Just comment here and let me know what you love about walking foot quilting to win a copy of the book. Leave a comment by Monday 9 a.m. CST. After I wrote the book I've continued to push myself to find more walking foot friendly quilt designs and I'll be sharing some how to's for those soon. In the mean time, if you haven't got the book, check with your local quilt shop, library or get it in your hands the Amazon way. Walk on!! I could quilt with my walking foot for days...it's almost therapeutic! Congrats on it being a best seller! I just finished a baby quilt using my walking foot for simple cross-hatching. I love how it turned out. Simple can be beautiful, too, but I'd love to up my game. I love simple line quilting. I'm a "get it done" quilter, since playing with color in the piecing is my favorite part of making a quilt. I love quilting with my walking foot because it can be so simple and easy but you can also increase the complexity as well. I've looked through this new book and it looks great! 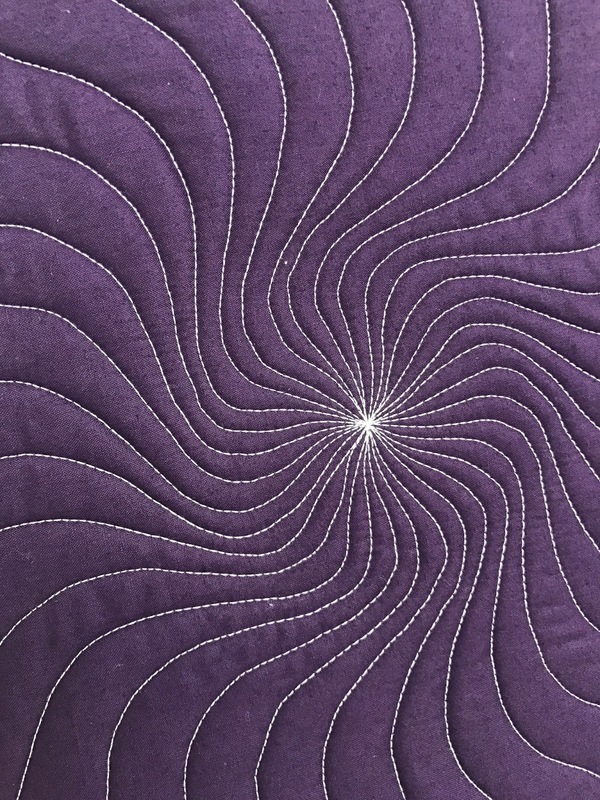 Walking-foot quilting often seems to compliment my quilt designs more than free-motion quilting, so it's my goto, but I'd love to increase my repertoire of designs. I love walking foot quilting. It's so versatile, and even beginners can produce a wonderful results in no time. Congratulations on the new book. I love how beginner friendly it is - if you can sew a straight line, you can quilt with your walking foot. And even if you stick to pretty basic straight lines, by doing different angles or playing with spacing you can make so many different looks. How did I miss that you had a new book?? I enrolled in both of your craftsy courses and only quilt with my walking foot. I hope I win your new book- it looks great! Nice! I quilt with my walking foot but only 'straight' lines. Thanks for the chance!!! I think what I like best about WF quilting are the even, consistent stitches and how 'clean' it looks. Congrats on the success of your book! I need this book! I have not mastered quilting my quilts at all! I usually just free motion stiple stitch. I would love to learn more! I love love love the look of straight line/ walking foot quilting. But my walking foot and I are in a fight right now over too much pressure on the top causing puckers. Once we get that straightened out, we'll be back at it. The walking foot helps with my confidence in quilting and is more exciting than stitch in the ditch! I just love my Bernina walking foot. I like the simplicity of the quilting. I am a master of straight lines with my walking foot but would love to learn more skills! I'm seriously impressed with your quilting! My stitch length is uniform with my walking foot and there are never any backside surprises. I'm new to Quilting & have never used a walking foot. From the comments here it appears I have been missing out on something great! I used to think it was just a method to get the darn thing finished! After taking your Craftsy class, I've grown to love the process and all the incredible designs that can be achieved. Now, I look forward to using my walking foot for quilting. Thank you for sharing your talent! I love your book and have tried several new-to-me designs with great result. Thanks for the encouragement to continue to explore. Quilting with a walking foot is just so meditative for me! Never boring, very zen. I've I loved your Craftsy classes and would love to get a look at this book to see what else you have dreamed up. I love my WF, it is just so calming to repeat steady lines with confidence. Loved the Crafty class, looking forward to reading the book. I'd love to win - what I love about my walking foot is the control. Thanks! It's almost always perfect when I can control top fabric. I love the symmetry and variety of quilting designs that can be done with a walking foot. I'd love to win a copy of this book. Up my GAME. My fame can remain nonexistent. I love my walking foot.. but would love to expand it's repertoire! Thanks for a chance at your book. I love the geometric patterns that you can make with a walking foot. I love the even feed you get with a walking foot, not having to worry about puckers and tucks so much. It's definitely slower than using a free motion foot, but it's a more controlled deliberate process. I piece with my Bernina walking foot, so it would make sense I need to learn to quilt with it too. Your book sounds like something I need to explore. 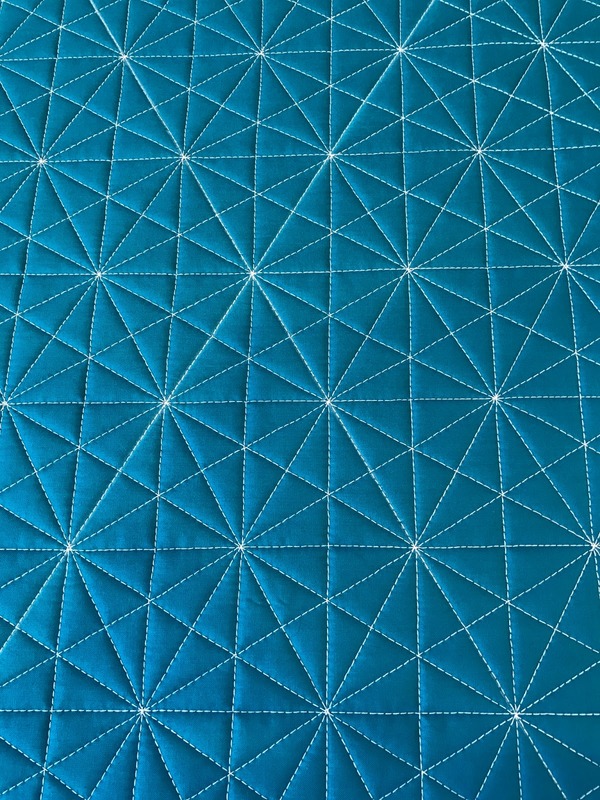 I love the cleanliness and sharpness of walking foot quilting. Would love a copy of this book. If I win I hope I can get an autograph! Would love to win this book! Have enjoyed your Craftsy classes and need more. Have tried free motion for years but have never been happy with results. I bought the book a few months ago and have really enjoyed it. I've been a mostly walking foot quilter since I started quilting 6 years ago. It's fun to figure out what I can do with that little foot. If I were to win a copy, I'd give it to my aunt who is also a quilter. I love how even my stitching is with a walking foot. 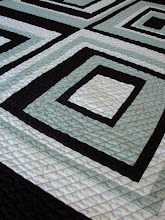 I love the straight line, geometric quilting you can do with a walking foot--very cool and modern! I love the walking foot for making radiating lines on a quilt. And the resulting hum of the machine is my therapy. I love my walking foot so much I think I wore it out as it doesn't grip like it used to. There is so much versatility with it. I love how it keeps all of the layers together as I quilt. Your designs are all so amazing! I like them all. Love my walking foot! I have only quilted straight lines and I really like that linear look. I would like to learn more and gain the confidence to do more with it. Thanks for the chance! Walking foot quilting is pretty much all I do. I have ventured a bit from stitch in the ditch to 'straight' lines, but want to do more! What a great book to help...thanks for the giveaway! Thanks for the giveaway. So desire to face my fears and give it a try! I love my walking foot! It always seems like a pain to put it on (it's not really), but I love it for simple straight line quilting and putting on binding. I'm debating now about a quilt I'm making for my in laws to either send to long arm (not in budget) or do some simple quilting with walking foot. Leaning toward doing in myself! The precise lines that I can't get with FMQ. Thanks! I have always loved the look of lines of quilting with stitches all the same length. I loved doing parallel rows of stitching on garments in my dressmaking days and love it on quilts too. Walking foot quilting looks so natural. Ever since your first class on Craftsy I have been addicted. What makes it even more exciting is that you keep adding new inspirational quilting. There seems to be no end, at least I hope not! Thanks. I like to use the walking foot because it seems to decrease my chances of something wonky happening! It's always consistent. Thanks for the chance! Quilting with the walking foot is great! You're such an inspiration, thanks for the chance to win!! Congratulations on the book and your continued success, well done indeed. Love the walking foot... I was a late comer to using it but it is brilliant. The book looks like it warrants a very close look. I wasn't completeting my quilts because my FMQ isn't that great. I took your Craftsy class and fell in love with using my walking foot. It's actually fun! I'm finishing a lot of my quilts now and even won a second place in my guilds show for quilting on a home machine. Not bad! Thanks! Trying again. Love the walking foot for keeping layers moving smoothly together. I like how the quilt feels when it has been matchstick quilted. And I like that it's not perfect - there's an organic feel like a real person did it. I love quilting with a walking foot because I can quilt with confidence. With your inspiration and instruction I have managed to quilt a lot of favourite quilts for family and friends. I've used the walking foot for straight lines only. 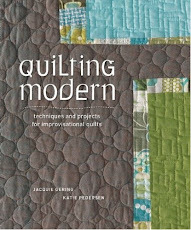 Would love to win this book so I can learn how to free motion quilting with the walking foot. I love straight line quilting! Most of what I've done is matchstick or crosshatch and I'd love to up my game with the lovely walking foot quilting you do. Whether I win a copy or not, thank you. Your book looks great! I love that I don't have to mark (at least not much) for walking foot quilting. Thanks for the giveaway! Walking foot quilting is great for beginners with incredible results and once you get your rhythm going, it's so much fun! I like walking foot quilting because it's easier for me to control and actually looks nice when I do it! I love the even stitch length I get when I use it for quilting. First time I used one was on my wedding dress to keep wool crepe layers feeding together. I have been a die-hard walking foot aficionado since taking your walking foot class at Road to CA. Love being able to do beautiful quilting on my domestic machine. Your book is fabulous, Jacquie!!!! I have had a love affair with my walking foot for several years now....it is the perfect companion for anyone that does QAYG as is your book!!! I love the uniformity and modern 'pop' that walking foot quilting helps me achieve! I have purchased the book, and shared it with my small group. It is comprehensive, clearly written, and leads one from simple to complex designs. An inspiration to anyone eager to try walking foot quilting. A second copy- I would place in the Textile Center Library in Mpls so that it will be accessible to every quilter using the library. The TC serves all of us working with any form of textile-quilting weaving, knitting, etc. It also has excellent exhibit space, many classes, and a summer youth program to encourage the next generation. There's something about the sound of the walking foot as you're quilting. It's soothing as it repeats over and over "you're finishing a quilt, you're finishing a quilt ..." And as an added bonus I can say I completed the whole quilt all by myself. Thank you for the generous giveaway. I love the excellent stitch quality one gets with the walking foot. Thanks! I love my walking foot because it's not just for quilting! When I'm working on a bag project, it helps me sew through the bulk. I bought my walking foot for quilting, but I wish I had known to buy it at the start of my sewing career -- it would have saved me some aggravation! As a new quilter, using a walking foot has given me some confidence in quilting - just straight lines so far. Your photos are so inspiring and make me want to try more designs! Walking foot quilting is in my comfort zone and doesn't intimidate me like free motion quilting does. Plus I like order and symmetry. Your designs unleash variety. What I love about walking foot quilting is the reliability - even stitches, no need to change the face plate on my machine, no real adjustments to make at all. Just go quilt. Thank you, Jacquie, for all the inspiration you've given me. Took your Craftsy classes and am much more confident! Why do I think I should be on the free motion bandwagon when what I really love is the ease and reliability and beauty of walking foot quilting? I keep going back to your Craftsy classes for inspiration and can't wait to read the book to try more designs. When I use my walking foot I feel like my machine has pumped up muscles! It makes a louder sound and is so strong. We can quilt anything when we are together!!! I took your class at the Wisconsin Quilt Museum in March, and it was fantastic. 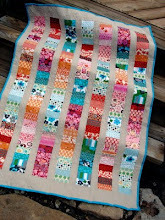 I got so much out of it and have spiral and orange peel quilted 2 baby quilts since then. 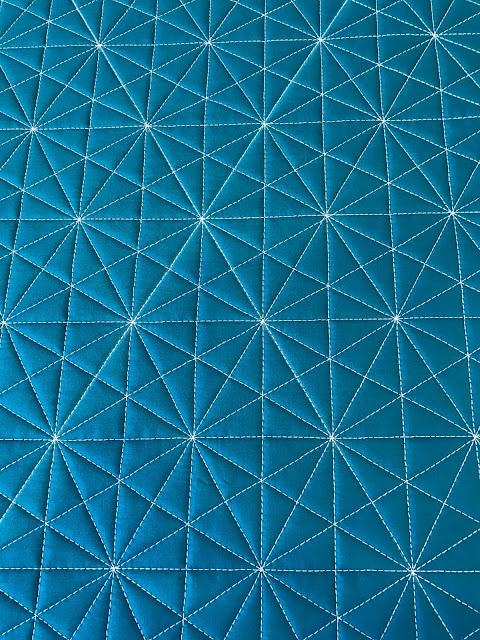 My favorite thing about walking foot quilting is that I can do it with what I have, and the results have been beautiful! I love the way the walking foot seems to do all the work for you. It looks like a fantastic book! Congratulations on your new book! The walking foot is such a great tool. It always does a great job of feeding multiple layers so evenly! Walking foot quilting is less stressful for me than free motion quilting, both in the thought process and in physically maneuvering the quilt sandwich. It's empowering knowing where the foot is going with each pass, and watching the quilt close in on completion. Coming at this as a hand-quilter, my walking foot lets me take it slow, which is the most important thing you ever taught me. The final effect is just so beautiful! I love the walking foot and your great ideas for using it to do beautiful quilting in no small part because it is a tool most anyone can afford. And it doesn't take twelve feet of room to use! Quilting sometimes seems an overwhelmingly expensive form of expression- and then you show us what simple quilts made with simple tools can be and I feel better! Thanks. 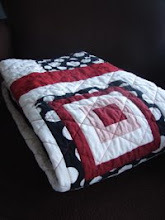 I love geometric, abstract quilt patterns and linear quilting is perfect because it enhances the overall design. You and your walking foot have started a quilting movement and WALK provides the instruction many are looking for. I have your two Crafty classes and thoroughly enjoyed taking your class at the Wisconsin Quilt Museum in Cedarburg, WI. WALK would be my instant reference tool to keep me going. What fun designs for the walking foot. It's hard to believe that some of them haven't been made using FMQ. 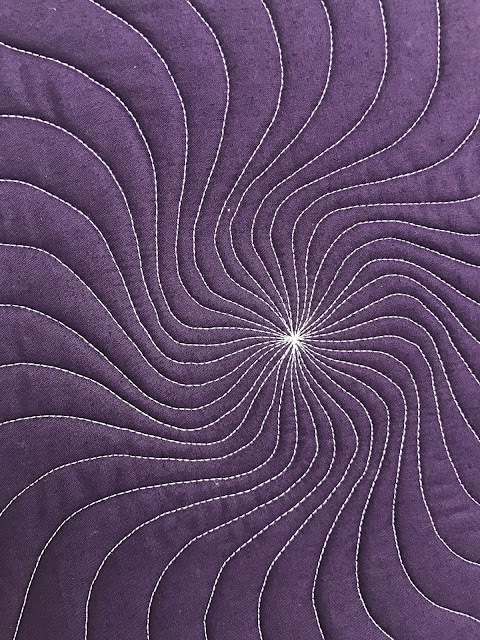 I would love to master straight line quilting like you do. It's so modern and clean looking. I am going to tackle a wedding quilt for my son and daughter-in-law and would love to learn new techniques for using my walking foot. I would love to have your book. I have your craftsy class and have enjoyed that. I did my first little quilt last week and love it. Now I can finally get some of my tops finished. I love the rhythmic consistency of walking foot quilting. Your Craftsy class is still my favorite. As you noted walking foot quilting can be so much more than straight lines. I love how it compliments my quilts. Sometimes simple is best and other times the texture you can create with walking foot quilting is exactly what a quilt needs. You have certainly upped my game with your craftsy class and this book is the next steps in my adventure! I am a beginning quilter who just LOVES your work. I have pieced many tops, but am currently in the process of doing the actual quilting on one for the first time. My goal is to complete all of the quilting of those tops during my lifetime! Would love to have your book to help with that process! Walking foot all the way! Thanks for the opportunity to add your book to my library. It's a beautiful, fabulous book and I'd love a copy in my library! I love the samples you just posted (especially the last one!!) Your quilting is gorgeous and speaks to my soul. Thank you! My walking foot is very important to me. I love to do straight line quilting and I always use my walking foot. I would love to learn more techniques using my walking foot. I love the control I have with walking foot quilting. Thanks for the opportunity to be in the drawing. I love the simplicity of simple linear quilting. I have your first two books, and have learned a lot from them. Your clean, modern esthetic really speaks to me. Gee Jacquie...I don't typically use a walking foot when FMQ. I guess I'm going to have to get a copy of your book, put my walking foot on my machine and just start practising. Quilting Modern introduced me to the basics of modern quilting so I guess Walk is just going to have to teach me the basics of using my walking foot. I look forward to the challenge! Love your walking foot quilting techniques and design esthetic. I have one of your books and took your Craftsy class. 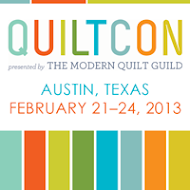 Love the many tips I have picked up from you and been able to put to use in my quilt-making. Many thanks! I just borrowed your book to preview from my local library. I would LOVE to win my own copy! Love the way the walking foot can provide such versatility. Of course, I wouldn't know that without your guidance. Thanks for making quilting fun. 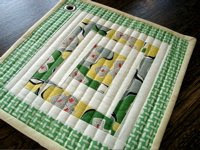 I love walking foot quilting, it is easy once you learn the process, I have taken your classes from craftsy and I can do this kind of quilting with ease. Wow! So many comments--maybe you'll consider more posts on your blog. We are all out here savoring every entry. 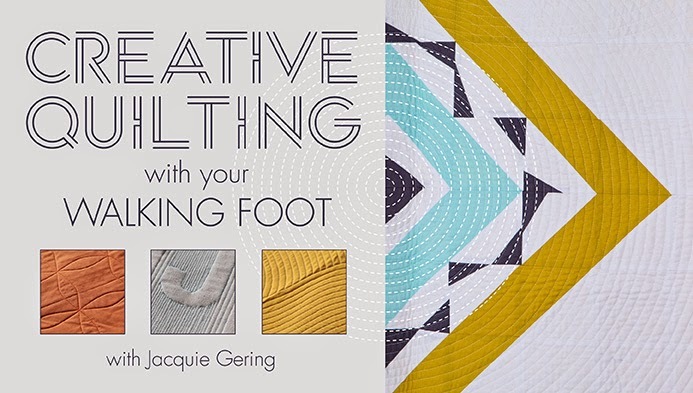 This book looks fabulous--I'd love to learn how to use my walking foot for quilting. I use it for dressmaking: I need to branch out! I would love to see what you do with a walking foot! I love FMQ, but I use my walking foot more. Friends often exclaim that no way did I achieve such beautiful results with only using my walking foot! Will have to check your book out. Thanks for blogging about it! I use my Walking foot more than any other foot i have,but it sure would be nice to know a few more tricks on how to do more fancy quilting with it. As a cautious FMQer and a true newbie, I love the feeling of (tentative) control that quilting with my walking foot gives me. Thanks for sharing your knowledge and confidence with us through a new book! I have taken both your Craftsy walking foot classes and love the ideas you have shared. Congratulations on another book! I love the sophisticated and neat looking results you get from using the walking foot. It is easier to learn than free motion. You can do it without a longarm. Love...love...love it. Congratulations on your best seller!! I like the feeling of control I have with the walking foot. Allows me to relax when I'm quilting. 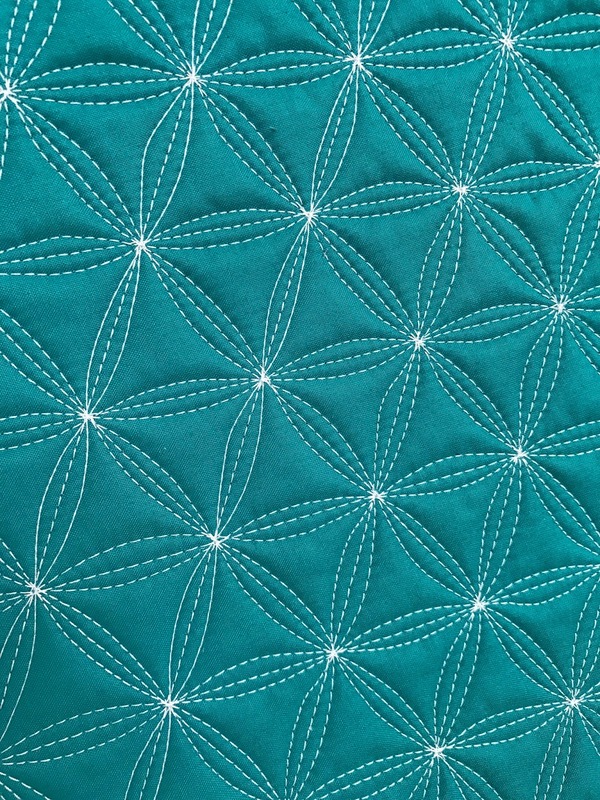 When I do free motion quilting, my shoulders always tense up! What a wonderful book! I have tried a couple of the designs in the book. I love that it is easier to get a steady regular stitch length with walking for wilting. And I love the gentle curve designs! Just finished up 6 quilts for grandkids...all quilted on my Juki using my walking foot! I like the walking foot for the precise control it gives. thanks for sharing your expertise! Love your new book...had it from day one...I'll take another copy!! What I love about walking foot quilting is how beautifully even the stitches are. I love to use variegated thread with my walking foot. It takes my walking foot quilting to the next level. Simple can be gorgeous. I love your teaching style, Jacquie, and must get your new WALK book! I've purchased both of your Craftsy classes. I've finished one and barely started the other. 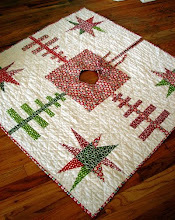 You demystify quilting with a walking foot and make quilting achievable for an ordinary sewist. I love your laid-back, you-can-do-it-too attitude. Thank you for your inspiration & instruction. I like the ease of walking foot quilting - no tension issues to worry about, works with all threads, and (usually) is pretty fast to complete. Love how your designs are more intricate than my typical straight lines. Walking foot quilting allows me to machine quilt without being an expert and it still turns out pretty good. I love the evenness of the stitches, and the soothing rhythmic sound of my walking foot. It's very meditative to quilt that way. 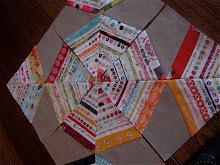 I just recently started using my walking foot - not only for quilting but also for traditional and foundation piecing! Me gustaría aprender a aprovecharlo lo mejor posible con ayuda del libro! I love using my walking foot for quilting because I can keep my stitch length even. I still struggle with that in fmq'ing. Thank you for showing linear quilting can be more than, rather than less than! I am a relative 'newbie' and have only quilted a couple of quilts more than 24 inches wide. I tried FMQ and it was a disaster. I feel that I have more control over my quilting when I use the Walking foot. I recently quilted my first quilt using the walking foot on my Baby Lock Jane - it was rather incredible! I previously hand-quilted all my quilts, and being able to complete a project so quickly is fabulous!! Thx for the chance to win! I get more consistent results than I do with free motion quilting. Am just getting up the nerve to try quilting and used my walking foot to quilt my first quilt! Used the serpentine lines and was so impressed with the results! Lol! Would love your book as I want to lose the fear!!! Also, signed up for one of your classes on Crafty. Thanks so much! I love my walking foot because it gets the job done--with no tucks or other fabric bunch-ups. It's a gem. Amazing what can been done with the walking foot. Great designs. I love your book!! I bought a copy back in March (so don't pick me) and have been taking it with me to read when I go back home to take care of my elderly mom a few times a month. Between taking care of mom, and also my 2 1/2 yo granddaughter 3-4 days a week, I haven't had much time to sew, but I can't wait to try some of the designs. Your instruction is very thorough. I love that I feel like I have more control with a walking foot than I do with FMQ, and the patterns you show in the book go way beyond straight line quilting. 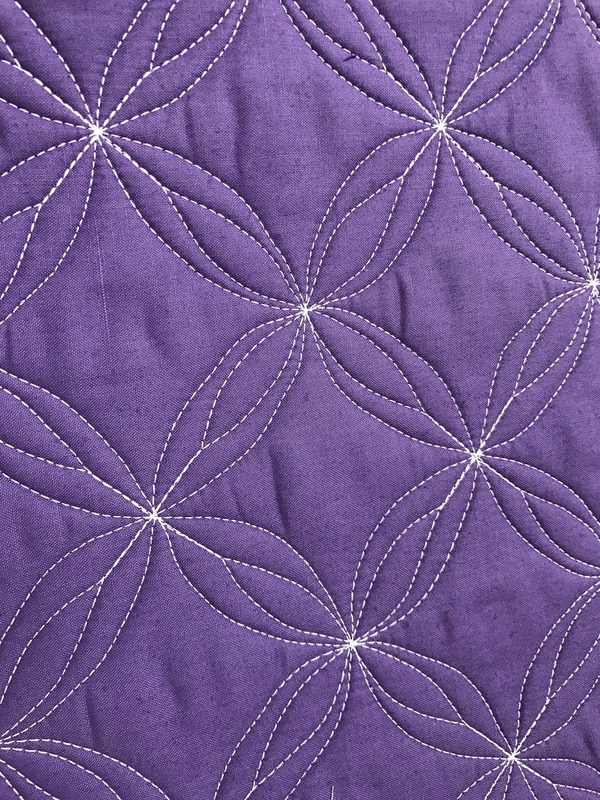 I love the simplicity of walking foot quilting and that I can do it to a reasonable standard without months slash years of practice. I loved both your Craftsy classes. it would be great to win this book! The rhythmic hum of the walking foot is calming and soothing. In my view, straight line quilting is neither complementary nor detracting...it becomes one with the overall design of the quilt. Thank you for your continued inspiration. Looking forward to figuring out what my walking foot can do. Congrats on your new book! I just completed a wedding quilt gift for a nephew and his new bride. It was a modern improv pieced wedding ring that I quilted with my walking foot in a circle motif. One main circle and many smaller ones. My walking foot made this possible and beautiful with the parallel lines! This book has been on my wish list since it came out! I have tried FMQ but much prefer using my walking foot for controlling stitch length. Thanks for a chance to win this fantastic book! It is the only way I know how to quilt on my machine! Don't get me wrong I have everything to do FMQ but it just doesn't seem to work well for me! I put on a walking foot and it is fun again! Stella here. Ever since that quilt retreat in Port Dover, ON, I've been using the walking foot - straight lines, slight curves, organic curved quilting- love the regular stitching and even feed. It was quite a revelation! Thank you, Jacquie! quilting with a walking foot is peaceful for me! Your work is very inspiring! I love my walking foot! It reminds me of a game I grew up playing - hungry hungry hippos. I also love the simplicity of straight, repeated lines. What a like about my walking foot? Errrrrr ...... well ...... nothing. I want to love it! Your quilting is beautiful and I would love to be able to get half of your look and style into my quilts. I need this book!! I would love your book! I've enjoyed your Craftsy lessons so far. I really like that there's no anxiety with consistent stitch length with a walking foot vs FMQ. I love that I feel like I'm in control doing walking foot quilting! Thank you Jacquie!